Oceanco, a Dutch builder of custom superyachts in the 80-140m range, has delivered the largest DynaRig sailing yacht in the world to a private client. 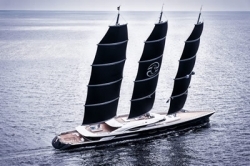 Powered by a hybrid propulsion system co-developed by BMT Nigel Gee, the 106.7m Black Pearl has a regeneration mode when under sail. 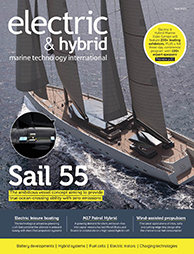 Dykstra Naval Architects designed the vessel’s three 70m DynaRig carbon masts and sailing system. The sail area is subdivided into smaller lesser-loaded sails that can be set or furled by pushing a button. All 2,900m2 of sails can be set in seven minutes.